Welcome to this week’s Math Munch. I was saddened to learn this week of the passing of Solomon Golomb. Can you imagine the world without Tetris? What about the world without GPS or cell phones? Here is another video, one that surveys Solomon’s work and life. It’s fast-paced and charming and features Solomon in a USC Trojan football uniform! Here is a wonderful short biography of Solomon written by Elwyn Berlekamp. And how about a tutorial on a 16-bit Fibonacci linear feedback shift register—which Solomon mentions as the work he’s most proud of—in Minecraft! Another kind of mathematical object that Solomon invented is a Golomb ruler. If you think about it, an ordinary 12-inch ruler is kind of inefficient. I mean, do we really need all of those markings? It seems like we could just do away with the 7″ mark, since if we wanted to measure something 7 inches long, we could just measure from the 1″ mark to the 8″ mark. (Or from 2″ to 9″.) So what would happen if we got rid of redundancies of this kind? 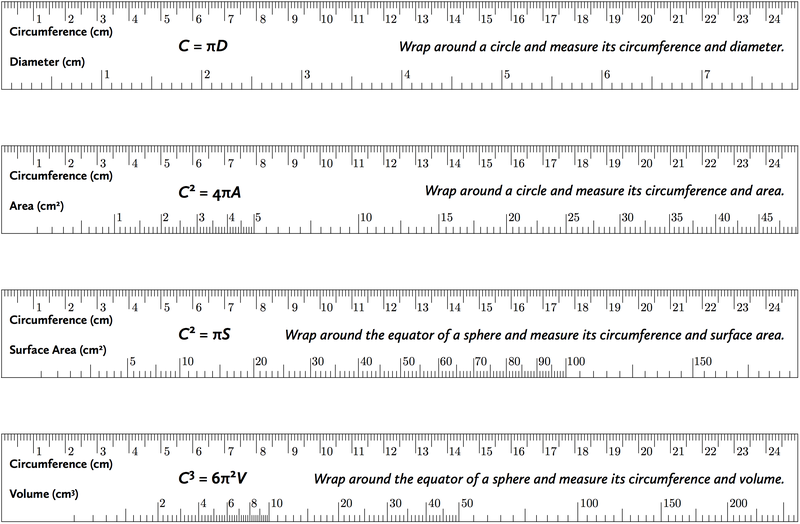 How many marks do you actually need in order to measure every length from 1″ to 12″? An optimal Golomb ruler of order 4. Portrait of Solomon by Ken Knowlton. I was pleased to find that there’s actually a distributed computing project at distributed.net to help find new Golomb Rulers, just like the GIMPS project to find new Mersenne primes. It’s called OGR for “Optimal Golomb Ruler.” Maybe signing up to participate would be a nice way to honor Solomon’s memory. It’s hard to know what to do when someone passionate and talented and inspiring dies. Impossible, even. We can hope, though, to keep a great person’s memory and spirit alive and to help continue their good work. Maybe this week you’ll share a pentomino puzzle with a friend, or check out the sequences on the OEIS that have Solomon’s name attached to them, or host a Tetris or Blokus party—whatever you’re moved to do. Thinking about Golomb rulers got me to wondering about what other kinds of nifty rulers might exist. Not long ago, at Gathering for Gardner, Matt Parker spoke about a kind of ruler that foresters use to measure the diameter of tree. Now, that sounds like quite the trick—seeing how the diameter is inside of the tree! But the ruler has a clever work-around: marking things off in multiples of pi! You can read more about this kind of ruler in a blog post by Dave Richeson. I love how Dave got inspired and took this “roundabout ruler” idea to the next level to make rulers that can measure area and volume as well. Generalizing—it’s what mathematicians do! I was also intrigued by an image that popped up as I was poking around for interesting rulers. It’s called a seam allowance curve ruler. Some patterns for clothing don’t have a little extra material planned out around the edges so that the clothes can be sewn up. (Bummer, right?) To pad the edges of the pattern is easy along straight parts, but what about curved parts like armholes? Wouldn’t it be nice to have a curved ruler? Ta-da! A seam allowance curve ruler. Notice that both of these puzzles involve pentominoes! The official start date to the contest hasn’t been announced yet, but you can get a sneak peek of the site—for a price! What’s the price, you ask? You have to solve a puzzle, of course! Actually, you have your choice of two, and each one is a maze. Which one will you pick to solve? Head on over and give it a go! And one last thing before I go: if you’re intrigued by that medicine puzzle, you might really like checking out 100 different ways this shape can be 1/4 shaded. They were designed by David Butler, who teaches in the Maths Learning Centre at the University of Adelaide. Which one do you like best? Can you figure out why each one is a quarter shaded? It’s like art and a puzzle all at once! Can you come up with some quarter-shaded creations of your own? If you do, send them our way! We’d love to see them. Eight ways to quarter the cross pentomino. 92 more await you! What is it? It’s a graph of the Farey Fractions, with the denominator of the (simplified) fraction on the vertical axis and the value of the fraction on the horizontal axis, made by mathematician and professor at Wheelock College Debra K. Borkovitz (previously). Now, I’d never heard of Farey Fractions before I saw this image – but the graph was so cool that I wanted to learn all about them! As Debra writes, there are so many interesting patterns in Farey Fractions – many of which become much easier to see (literally) when you make a visualization of them. Debra has made several awesome applets using the program GeoGebra, which she links to in her post. (You can download GeoGebra and make applets of your own by visiting our Free Math Software page.) These applets really show the power of using graphs and pictures to learn more about numbers. To play with the applet that made the picture above, click here. Check out her post to play with another applet, and to read more about the interesting patterns in Farey Fractions. Next, check out this website devoted to the puzzles of puzzlemaster Sam Loyd. Sam Loyd was a competitive chess player and professional puzzle-writer who lived at the end of the nineteenth century. He wrote many puzzles that are still famous today – like the baffling Get Off the Earth puzzle. Click the link to play an interactive version of the Get Off the Earth puzzle. The site has links to numerous Sam Loyd puzzles. Check out the Picture Puzzles, in which you have to figure out what object is described by the picture, or the Puzzleland Puzzles, which feature characters from the fictional place Puzzleland that Sam created. Snow MArTH, made by MArTHist Eva Hild and others at a snow sculpture event in Colorado. From the Spring, 2011 Hyperseeing. This edition of Hyperseeing features art made from Latin Squares and “organic geometry” art, among many other things. This edition of Hyperseeing features crocheted hyperbolic surfaces (which we featured not long ago in this Math Munch!) and sculptures made with a 3-D printer, among many other things. This is the first edition of Hyperseeing. In it, Nat describes the mission of Hyperseeing and the International Society of the Arts, Mathematics, and Architecture. P.S. – You may have noticed a new thing to click off to the right, below the Favorite Munches. This is our For Teachers section. The Math Munch team has put together several pages to describe how we use Math Munch in our classes and give suggestions for how you might use it, too. Teachers and non-teachers alike may want to check out our new Why Math Munch? page, which gives our mission statement. P.P.S. – The Math Munch team is going to Bridges on Thursday! Maybe we’ll see you there.